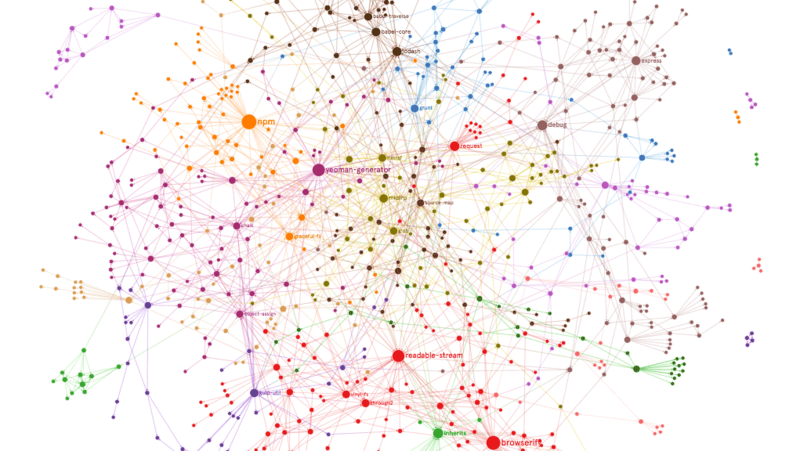 Saw this Reddit Visualizer, a interactive network map of recent cross-commenting relationships between forums. 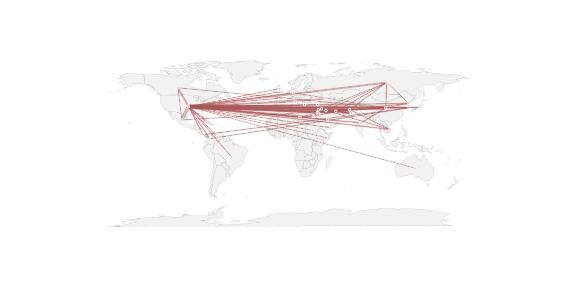 …wider lines represent stronger connections and connections are determined by shared Redditor activity. Specifically, for each subreddit we gathered the hottest fifty posts at the time data was gathered, and checked the last 100 comments of each redditor who made those posts. Each post made in another subreddit by that redditor counted as a single point towards that connection. 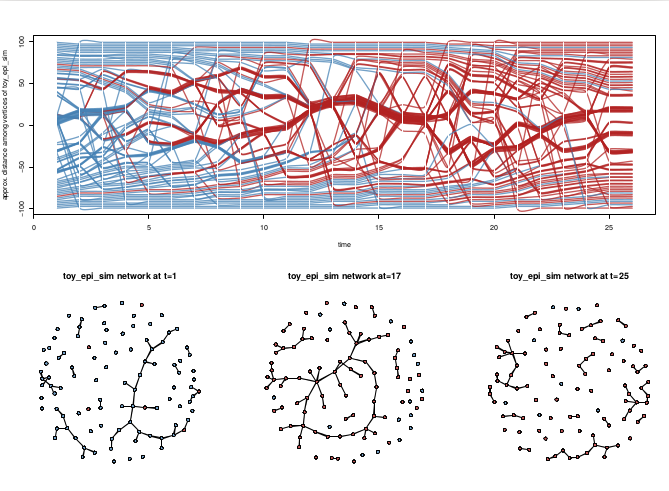 The Reddit Viz team has a detailed blog post on how they built the tool. 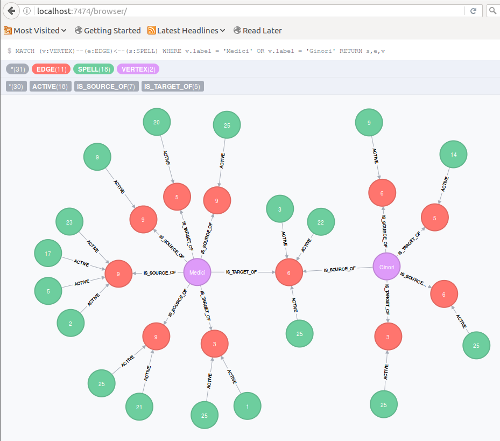 Graph database seem to have really matured in the last year or so, and even appeared in some very high-profile current events (i.e Panama Papers https://panamapapers.icij.org/). I'm curious to see how well Neo4J supports dynamic network data. Olaf Rank posted on the Socnet listserv yesterday about rendering 3d views of networks as movies. I created a quick rmarkdown document with both an rgl animation and a movie. To make it one step more meta, I’ve also embedded the document here on the blog post :-) If you scroll down, you can find the rgl view of the network and drag it to spin. The Foundation Center (recently?) released a neat web application that provides interactive visualization tools for their database of grant funding. 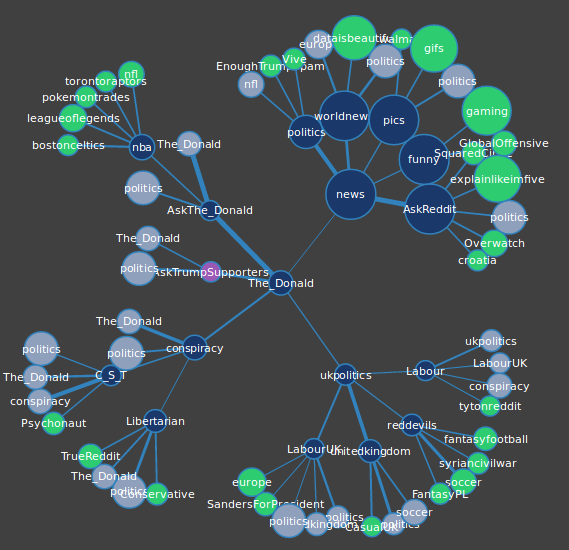 It contains a “Constellation” interactive network view of grant-making relationships. The network map is SVG, built with D3.js, and has a well designed interface with features for refining queries, and flipping between charts, tables, maps, and network views of the same data. Most of the graphic elements can be clicked on to bring up a popup with a more detailed breakdown. 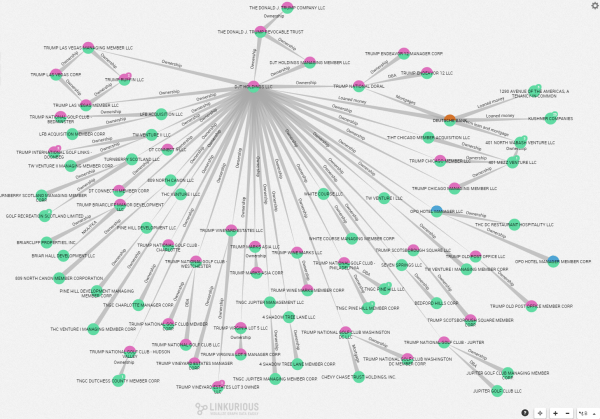 The network map is very reminiscent of Angels of the Right (2011), except that they seem to give access to all of the current IRS 990 data (not just conservative foundations) and provide lots of categorization and geocoding as well. Although it seems to be a paid subscription service (with a free trial? 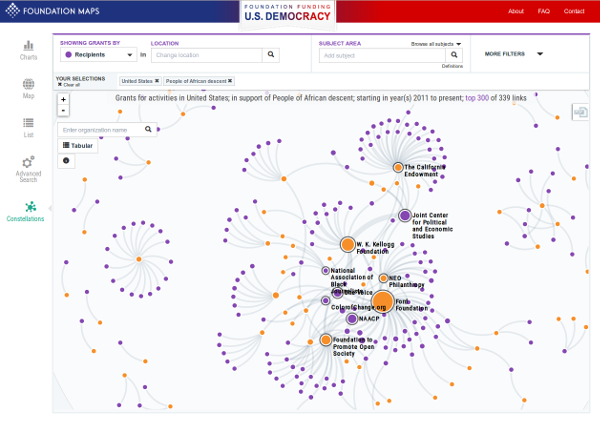 ), much of the data for the US appears to be available to play with via democracy.foundationcenter.org Note that although the tool does provide CSV data downlaod for some views, this is not open data. The Terms of Service prohibit scraping, bulk download and web redistribution. One criticism I have — common to many sites using the D3.js network template is — why should the user wait to watch the network layout process in real time? It can be performed so much more quickly in the background, without eating my entire CPU updating the browser DOM when I’m trying to type the next query. Also, I’m not sure exactly what some of the network stats are calculating (sometimes it reports number of connections per vertex < 1, which doesn't seem possible for these networks).